Hey there Desperado, welcome to Westwood! We hope you’ll enjoy your stay. 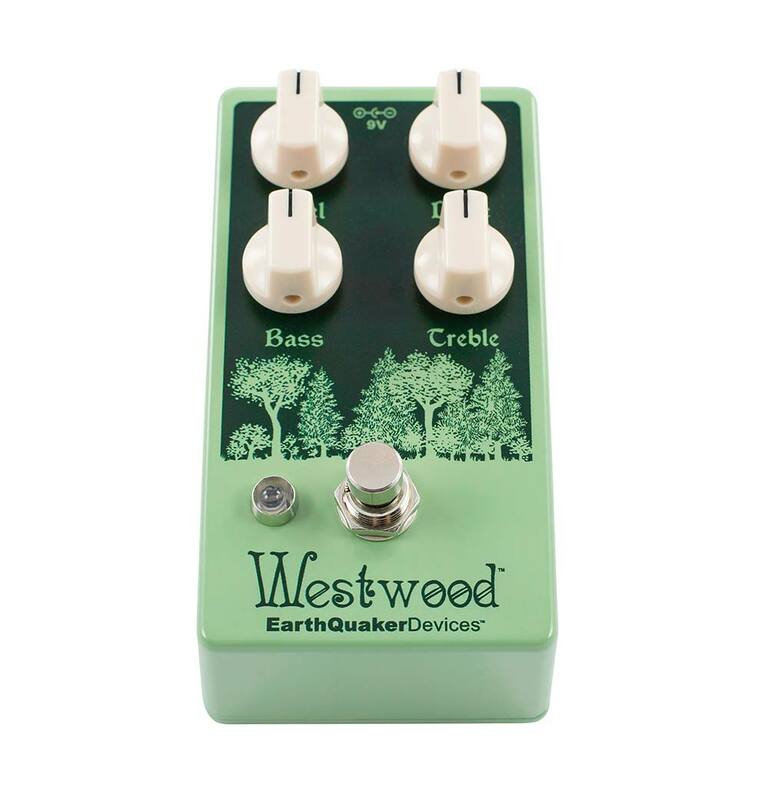 Westwood is a touch sensitive translucent overdrive manipulator as clean and pure as the breeze which blows through a grove of Douglas Fir trees, and as hot as a damn fine cup of coffee. 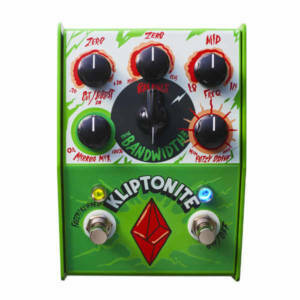 This mild-mannered light- to medium-gain overdrive will still knock the socks right off your trusty low-wattage combo amp, pushing it into anything from cutting, edge-of-breakup rhythm tones, all the way to articulate, singing lead tones stacked high with pleasing even-order harmonics and sweet, sweet sustain. And if you pair it up with your favorite head and cab, you should probably call the neighbors first, because the Westwood’s Level control has enough output on tap to alert the proper authorities. Even the FBI. 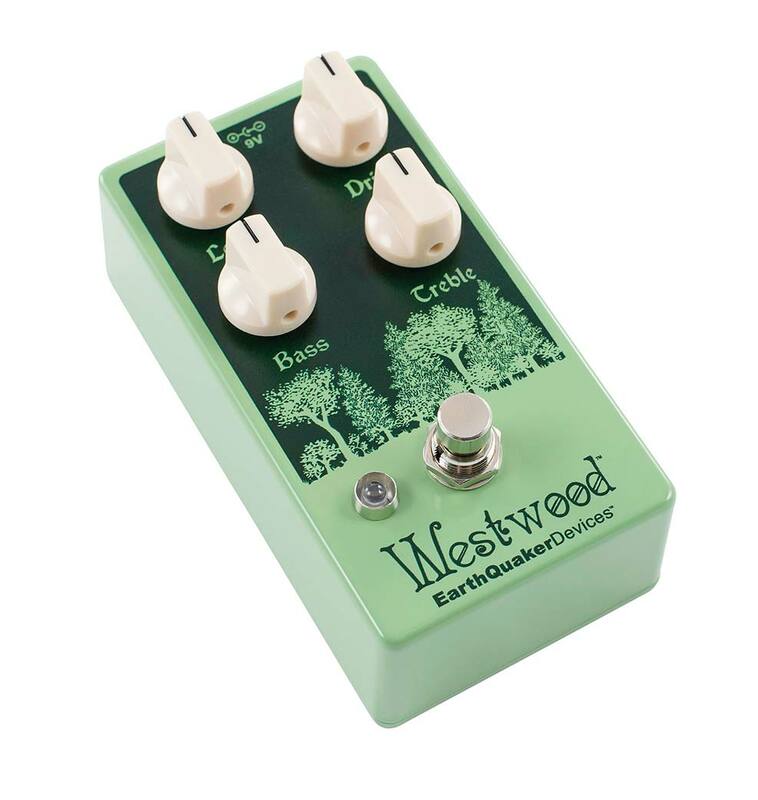 The Westwood’s Drive control sets the level of gain for a near-clean boost at lower settings, to rich, bell-like jangle and chime, all the way to soaring lead tones that are cutting and distinct, but never harsh. The Westwood responds to changes in guitar volume at any setting, and varying the intensity of your pick attack reveals the subtle nuances of your technique and tone. Your choir director will love it. The powerful active EQ section has controls for Treble and Bass with up to 20 dB of cut and/or boost. Center-detent pots indicate the ͞flat͟ setting. 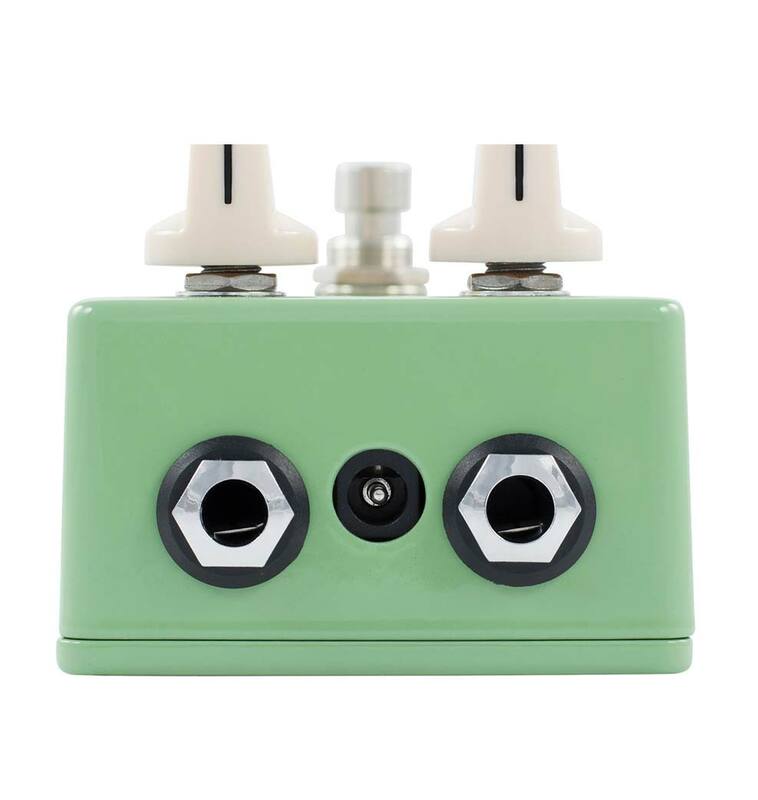 When you feel a click, there is neither cut nor boost, and your tone remains unaltered, but with extra gain. 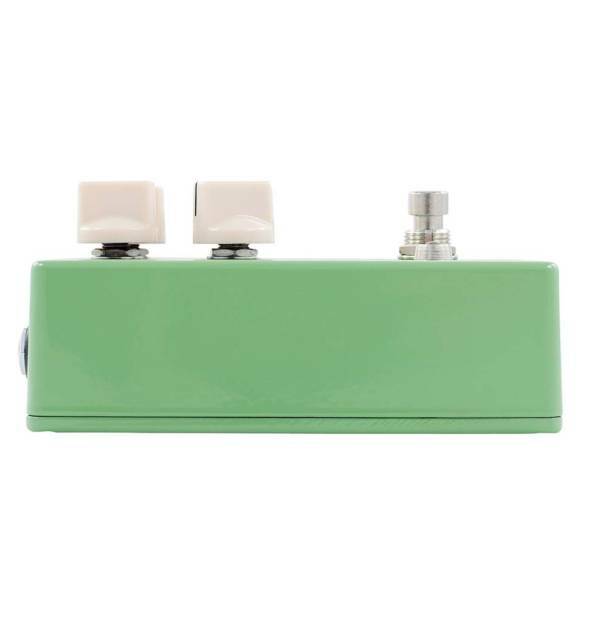 Treble affects the area around 2kHz and is handy for taming icepick-y single coils, or giving humbuckers a lift to add an open and airy top end sparkle as free and clear and uncompressed as the air all the way up in the lovely mountains of Tibet. The Westwood’s Bass control operates around 80Hz and can be used to tighten up the low end of an already dark sounding guitar, or if turned up, will soften your attack, and introduce tube-like sag for a ͞browned out͟ sound with plenty of woody, organic bottom end thump that’ll make chords think and chunky, while single notes bloom like the flowers of the majestic Dogwood. On the bass guitar, the Westwood provides warm low-mids and a smooth top end with enough vintage grit to make your next gig at the Roadhouse both wonderful and strange. Let’s rock. Each and every Westwood is a real Blue Rose case, hand built by a team of special agents in the Black Lodge of Akron, Ohio, USA, where the owls are not what they seem, there’s always music in the air, and the birds sing a pretty song.